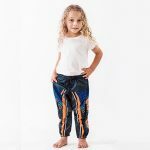 Kulture has dedicated themselves to preserving Aboriginal art and other cultures such as Torres Strait, South Sea Islander and Papua New Guinea through an extensive range clothing for men, women and children of Australia and the World. 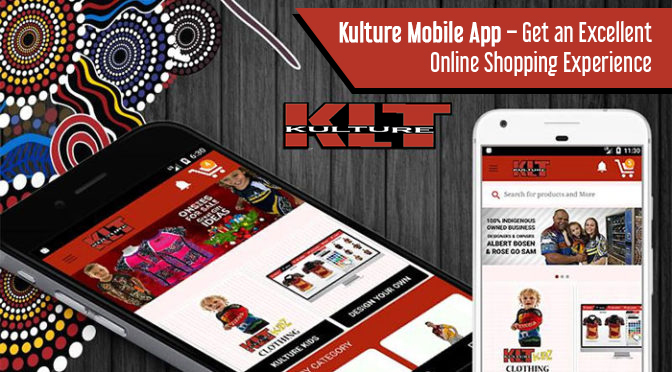 By launching a mobile app for online shopping, Kulture has taken another step ahead for popularising their unique range of uniquely designed Aboriginal clothing. Kulture aims to satisfy their potential customers with superior quality uniquely designed clothing at an affordable price. 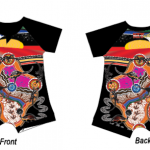 Google PlayStore for Android & App Store – these are the two places from where you can download the application and get started shopping for uniquely designed Indigenous clothing. How to Shop Online from the App? You can download the app for free from Google PlayStore or App Store. Once it is installed, open it and start scrolling down. You will find the option ‘Shop by Category’. Click on it to find out the categories along with the featured products that we have in our online store. Each of the products has a different products description and details of its features that make any particular type of design unique. As you click on any particular product, the required specifications such as size, weight, stock availability and pricing will appear. Don’t forget to check the ‘related products’ options to make sure that you are picking the best design. Now, for shopping for any particular product, you will need to scroll down to the bottom to find the ‘add to cart’ option and add the product to your shopping cart right away. You can make the changes in the quantity of order there. Before checking out, you have to register your name and sign in to your account for making your way to the payment gateway. Kulture accepts payments via PayPal account. You should create an account in PayPal for completing your shopping experience with us. You will start getting notifications whenever any new product is introduced in the online mobile app. Come to the leftmost corner and click on the ‘menu’ bar where you will find information about your account and your previous orders. You can rate our app or share it with your friends or directly call or email us for feedback. You will get to our refund or return policy along with our company background under it. For our ‘team wear’ collection, we have kept a ‘pre-order’ option along with an enquiry form where you have to book for the quantity, design and logo information. Similarly, our ‘corporate wear’ page also includes an enquiry form for inquiring about orders. What’s New in our Product Range? It has become easy for every Australian to go through the collection of corporate wear, sportswear, team wear and kids’ clothing and pick their preferred product. In our kid’s clothing, you will find polo shirts, tee shirts and onesies. In corporate wear, you will see an extensive range of unisex polos that can be used for your staff shirts within your working environment. 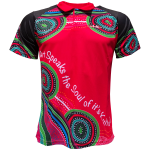 In our collection of unisex clothing, we have polo shirts, t-shirts, shorts and team wear products. The ‘Design Your Own’ feature is about to be included in the app soon for giving you the privilege of customising the designs of your apparels. 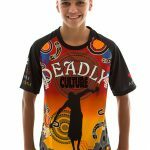 Kulture has already become #1 Indigenous retail clothing label in Australia and has 40+ stores distributing the Kulture branded products around the country.